Welcome Home and start enjoying Encanterra today! Step inside and you will find beautiful details in every area of this popular Genova plan. 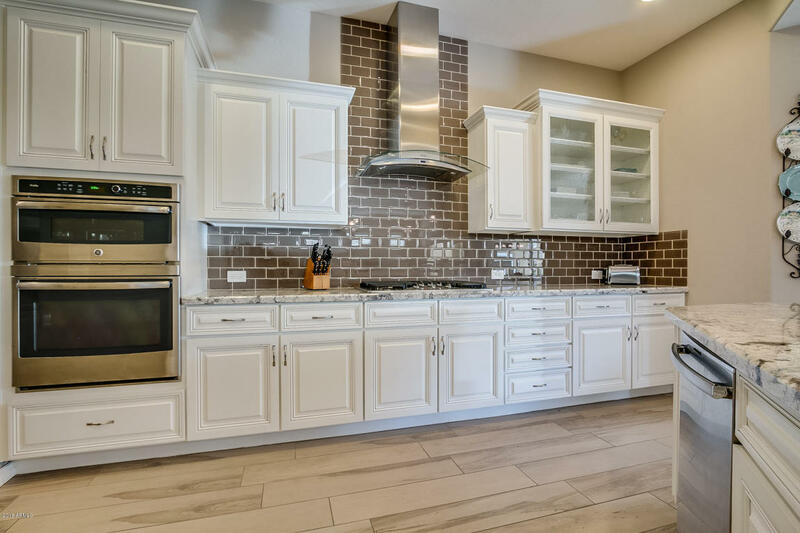 The kitchen is well appointed with gorgeous white cabinets, stainless steel appliances and beautiful tile work. Just off the kitchen you'll find a custom built-in bar with wine fridge, single faucet kegerator and stunning custom backsplash. The rolling wall of glass creates the perfect indoor and outdoor space. Enjoy the cool Arizona evenings by the gas fireplace and watch the game. Stone pavers extend off the patio to the built-in gas BBQ. Inside you'll find a master suite that is luxury all around. Beautiful tile work in the master bath offers a light and bright feel. Come see this home today to see many more upgrades and features!